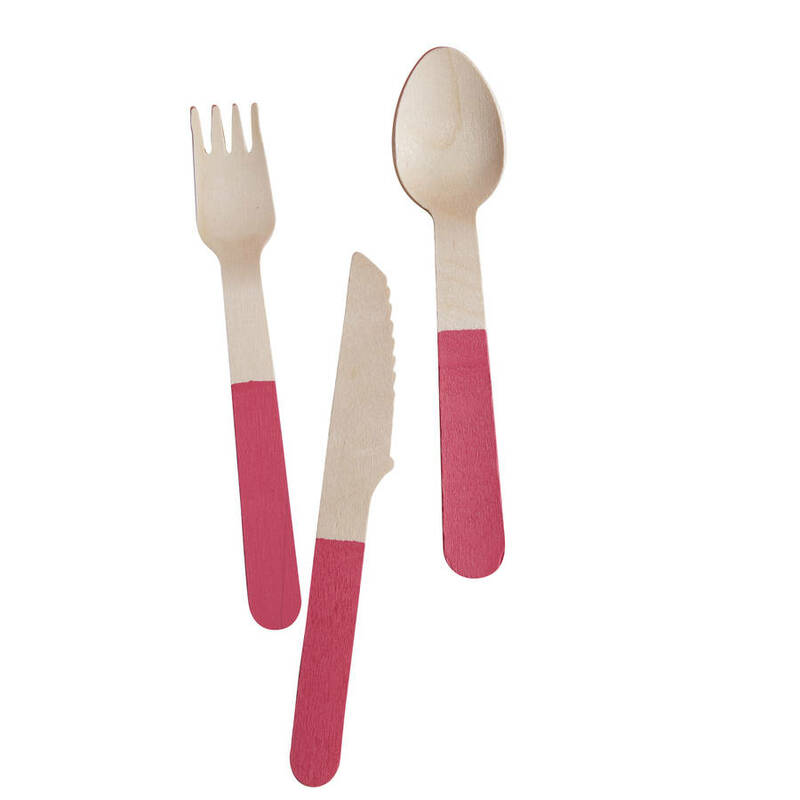 Set of 18 Fabulous pack of wooden cutlery with bright pink coloured handles. 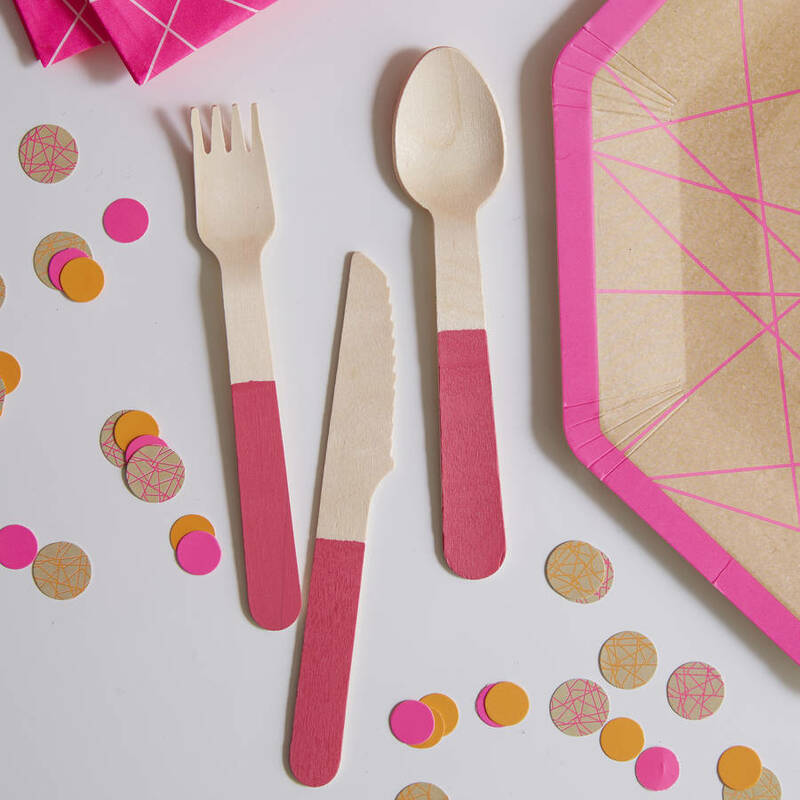 Neon printed wooden cutlery, the perfect addition to your party! Use this pink dipped wooden cutlery to set your party tables off. Each 18 piece pack contains: 6x knives, 6x forks and 6x spoons. 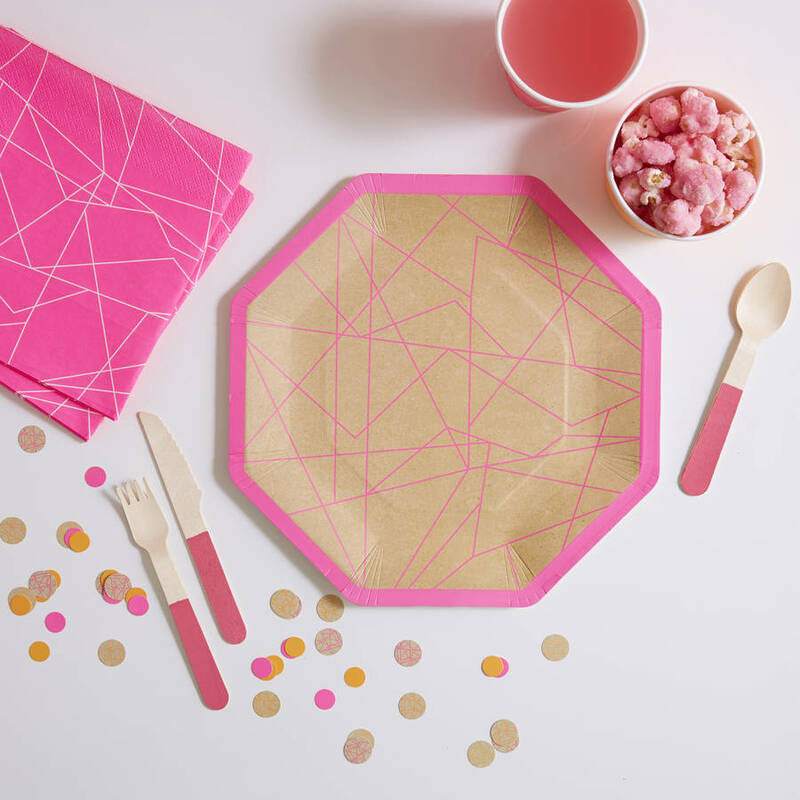 14cm H. The quirky cutlery can be used with other products within the Neon range to make a stunning party set up!